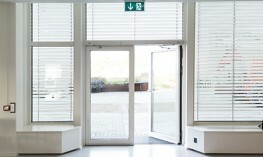 The fully automatic Powerturn swing door drive makes manual passing of the door child’s play. An integrated spring ensures a safe closing of the drive in case of fire, it is once pre-tensioned and then retained in this position. 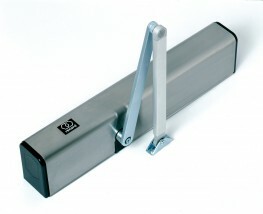 Thus, fire proof doors can be opened manually, fast and effortlessly. Please note that these product properties are not a replacement for the manufacturer's literature and it is always recommended that GEZE UK is consulted before specifying.